Few individuals have the ability to connect with millions of people, particularly children, in a profound and meaningful way. 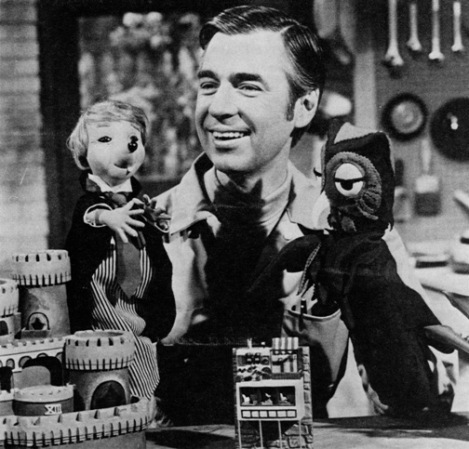 Reverend Fred McFeely Rogers (1928-2003), aka Mister Rogers, was one such individual. When news broke in February 2003 that Mister Rogers had died, it moved many people to tears. In 1953, he was invited by WQED in Pittsburgh, the nation’s first community-supported public television station, to co-produce a daily program called The Children’s Corner. The experience convinced him he had a future in children’s television. In the 1950s he began taking classes at Pittsburgh Theological Seminary and graduate courses in child development at the University of Pittsburgh, largely during his lunch breaks from The Children’s Corner. He earned a Masters of Divinity degree in 1963. He was ordained in 1963 by the Presbytery of Pittsburgh with the unusual charge to continue his ministry with children and their families through the media. While he never served in the traditional role of pastor of a brick-and-mortar church, his ministry to children reached millions. 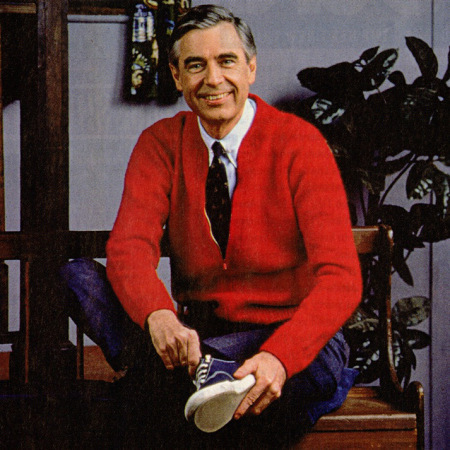 Through Mister Rogers’ Neighborhood, he taught generations of children the quintessentially Christian but profoundly universal message of “Love yourself, love others.” In 2000, Mr. Rogers hung up his cardigan for good. Over the course of 30 years, the show won four Emmy awards. 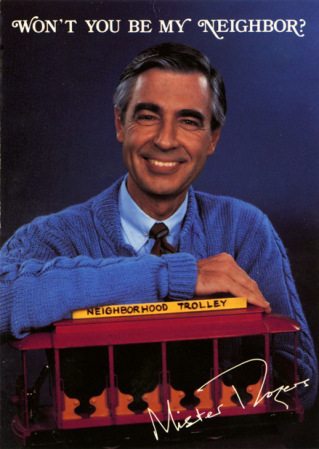 Fred Rogers received a Peabody and countless other awards and honorary degrees for his work as creator, host, songwriter, scriptwriter and principal puppeteer of Mister Rogers’ Neighborhood. He and his wife, with whom he had two sons, worshiped at Sixth Presbyterian Church in Pittsburgh for many years. 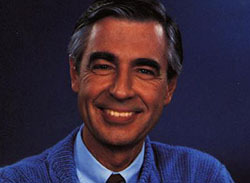 Mr. Rogers was a vegetarian who swam and walked daily. On February 27th, the 10th anniversary of Mr. Rogers' death, the PHS staff will honor him by wearing cardigan sweaters and tennis shoes. Won't you be our neighbor? Join us in this celebration! Take a picture of yourself in Mr. Rogers garb and share it with us on our Facebook page. Learn about the first television program to feature the piano and puppeteering of Presbyterian minister Fred Rogers.